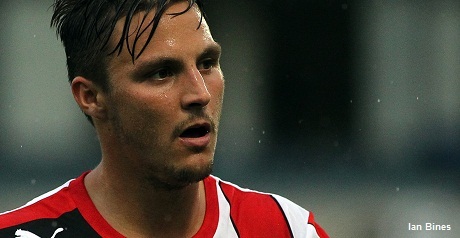 Out-of-favour Brentford midfielder Sam Saunders believes there is a place for both him and Harry Forrester in the same team. Saunders last week spoke of his frustration at being left out of the side recently and says he is determined to regain his place. The 29-year-old again lost out to close friend Forrester against Oldham on Saturday and was an unused substitute for the second game running. Saunders told West London Sport: “I feel me and Harry can play together in the same team. “We played together against MK Dons last year – one of the best sides in the division – and we did well and won the game. “The gaffer hasn’t tried it yet, but if he does we’ll be ready to play together and I think we can do well.